Welcome to Best Free Bet Offers. As you’ve probably already guessed, this website is all about the introductory offers that the bookies and casinos lavish upon their new customers. Pretty much all online bookmakers offer some kind of incentive to get new punters through their virtual doors, but the quality and value of these offers varies from bookie to bookie. The idea behind bestfreebetoffers.com is to gather together these offers and display them in a manner that lets you easily compare them. We do this in two ways – first you’ll find a list of our top free bet offers below along with a short description of what each bonus entails. Perfect if you’re new to the world of free bets and need a bit of hand holding. Place a £10 bet at odds of evens or more for £30 in free bets plus an extra 30 free spins for you to try out their casino. Note that you can't deposit with an ewallet when claiming this offer. Free bets added within 48 hours and expire after 7 days. T&Cs apply. All of these offers are from UK facing bookmakers and betting sites, and we usually list the offers that are available for punters from the UK & Ireland. Plenty of the bonuses can also be claimed by customers outside of the UK though – including countries such as Canada, Australia, New Zealand and most of Europe. Because of their weird laws, however, none of the betting sites listed on bestfreebetoffers.com accept customers from the USA – sorry! Where the offer is only available to customers from specific countries, we’ll usually try to list it in the summary above. We are also considering creating separate lists for each of the countries listed above – this should make an appearance in the next couple of months. We also more than happy to help – so if you’re desperate for some information or need some help, feel free to get in touch with us and we’ll do the best we can to point you in the right direction. In addition to the sign up offers listed above, there are plenty of free bets for existing customers as well. They aren’t quite as generous as the welcome bonuses, but they’re still a nice little perk that can help boost your bankroll. Using these offers strategically could even turn a losing punter into a profitable one. Free Bet Clubs – Quickly becoming one of the most popular offer types among both punters and bookies alike, free bet clubs reward loyalty with bonuses. They all work in much the same way, place a certain volume of wagers in a week and you’ll get a free bet. 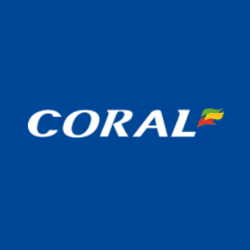 Loyalty Points – Another way of rewarding loyalty is with a more traditional rewards scheme, where each bet you make earns you points which can be exchanged for free bets, reload bonuses or spent in a special rewards shop. Accumulator Offers – The humble acca is an incredibly popular type of bet, offering big payouts from a small stake. There are two types of acca offer you want to be aware of: insurance, which gives you your money back if only one leg loses; and bonuses, which boost your winnings on successful accumulators. Best Odds Guaranteed – An incredibly common offer, but one that shouldn’t be overlooked. Take a price on a horse and if it wins but the Starting Price was higher, you’ll get the SP instead of your price. We even have one which beats the SP. Price Promises – Don’t like shopping around to see which bookie has the best odds? Then grab a price promise – here the bookie guarantees that they have the bests odds on an event. And if they don’t, they’ll match whoever did. So what are these free bet offers we keep going on about, and why do betting sites offer them? The answer to the this question is quite simple – it’s all about getting bums on seats (metaphorically speaking). Free bets are used as a promotional tool to get you to sign up and give that particular bookie a test drive. The idea is that you’ll like their odds, features, offers and fancy website so much that you’ll stick around and keep betting. The principle behind free bets is very similar to the idea of the loss leader promotions that supermarkets often run – they intentionally lose money on a product in order to get you into the store, after which they’re hoping you’ll fill your basket with all kinds of other goodies. Complete the action required to trigger the bonus. Usually this involves making a deposit (but not always – see our no deposit free bet section) and then placing a qualifying bet using your own money. These qualifying bets often have minimum odds of 1.5 or 2.0 – meaning that you can’t bet on a ‘sure thing’ with tiny odds. Once the qualifying conditions have been met and settled, you should receive your free bet token which can then be used to place another wager. The value of the free bet token is usually linked to your qualifying bet and you normally have to bet it all in one go (ie: you can’t split them into multiple smaller bets) and just like the qualifying bet they tend to have minimum odds. That’s pretty much it. Some betting sites will offer additional free bets after the first one has been settled – this is known as a ‘free bet basket’ and usually requires additional qualifying bets (eg: place a further 5 bets and receive another free bet). Sometimes the bookies will offer a ‘betting bonus’ instead of a free bet – this is where you receive bonus funds in your account relative to your first deposit. So for example you may get a £200 bonus by depositing £200. This bonus can be bet with as soon as its credited and can be split up into a number of smaller bets, but comes with a turnover requirement – meaning you have to place a minimum value of bets before you can withdraw the bonus. Betting bonuses tend to be for much larger amounts that the traditional free bets, but come with the additional wagering requirements that we’ve just mentioned. Introductory free bets, such as the ones listed above and on our list page, are only available to new customers. But that’s not to say that the promotions dry up once you’ve signed on the dotted line – most bookies (well, the good ones, anyway) will also run various offers and promotions for their existing customers. 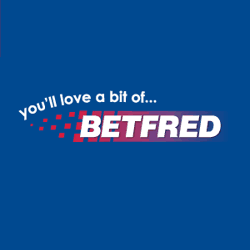 Below you’ll find a feed of the latest betting offers and promotions from our favourite bookmakers. Have a browse, see what takes your fancy and then use them to win some extra moolah! 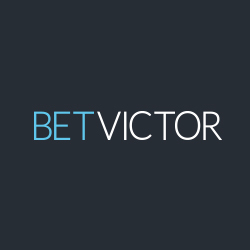 Copyright © 2019 by Best Free Bet Offers.